This is the story of Angela Hernandez. 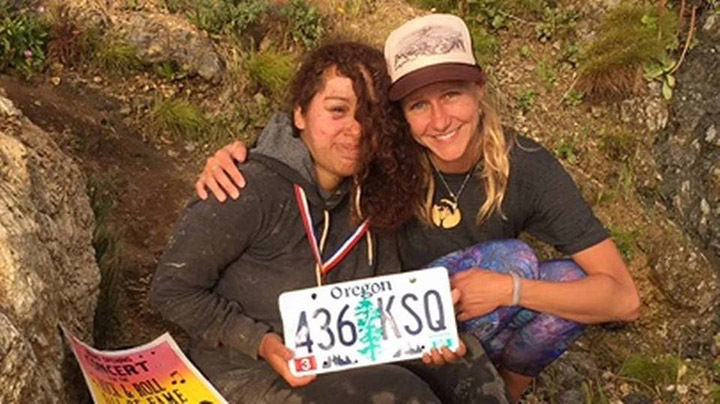 A woman who went missing and everyone feared the worst during her week gone. Angela was in her car driving to Southern California from Oregon when she saw an animal suddenly walk into the road. 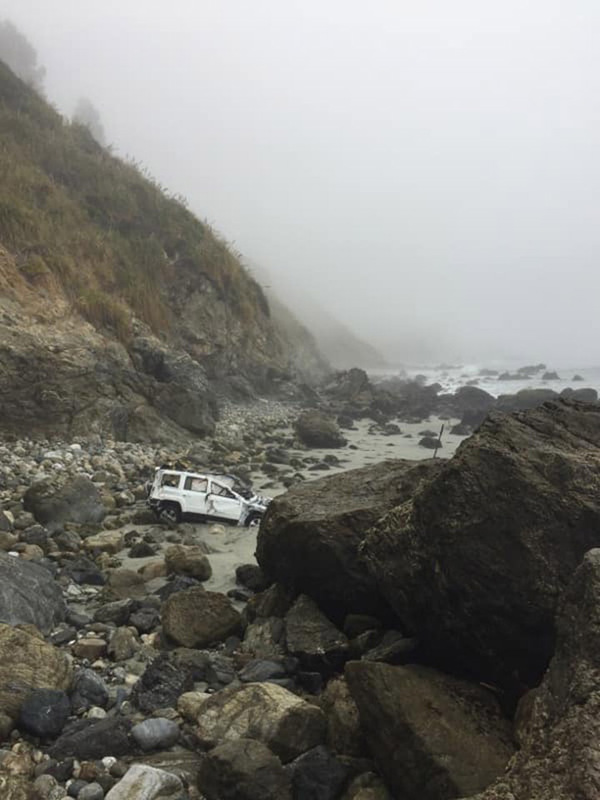 She swerved, ending up going off the road and falling around 250 feet near Big Sur, California. 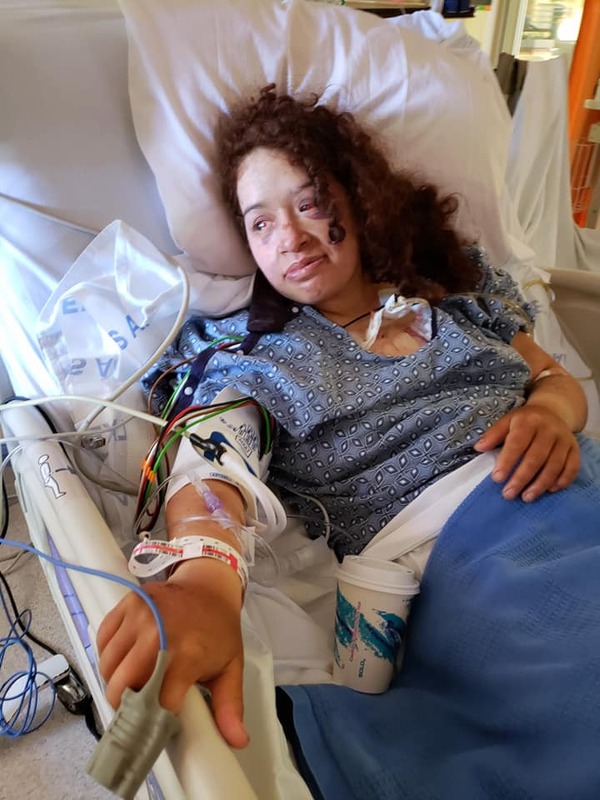 Here is the incredible story that she shared with Facebook about what she did to survive, miraculously. “After I woke up I was still in my car and I could feel water rising over my knees. Every window was closed. I took off my seatbelt and found a multi-tool I kept near my front seat. I started hitting the driver-side window with it. Every bone in my body hurt. The only thing racing through my mind was my sister, Isabel. So I started screaming her name. Eventually, I was able to break out of my car and jump into the ocean. I swam to the shore and fell asleep for an unknown amount of time. When I woke up, it was still daylight and it was only then that I had finally realized what had happened. I stood up onto my feet and noticed a huge pain in my shoulders, hips, back, and thighs. I saw nothing but rocks, the ocean, and a cliff that I knew I’d never be able to look over. “The next few days kind of became a blur. I’d walk up and down the beach in search of another human being. I could see cars driving across the cliff and felt like if I could yell just loud enough, that one could hear or see me. That’s all it would take to make it back to my family. Just one person noticing me. About 3 days had passed by now and the back of my jeans were torn apart, my socks were nothing but holes, and I could start feeling the effects of dehydration. I found my way back to my car and started looking around for anything I could use. I found a 10-inch black hose that seemed to have fallen off of my vehicle during the crash. I walked farther south down the beach than I ever had before and heard a dripping sound. “I collected as much as I could in my little hose and drank from it for maybe an hour. Every day, this became my ritual. I’d walk up and down the beach looking for new high ground, screaming ‘help’ at the top of my lungs, and collecting water falling from the top of the cliffs. My last morning on the beach was an especially good one. When I woke up I saw a woman walking across the shore. I thought she was a dream. I screamed, “HEEELLLPPPPP!” and then got up as quickly as I could and ran over to her. She was with a man and I don’t think they could believe their eyes. She ran down the beach and up a trail to go find help while the man stayed with me and gave me fresh water. 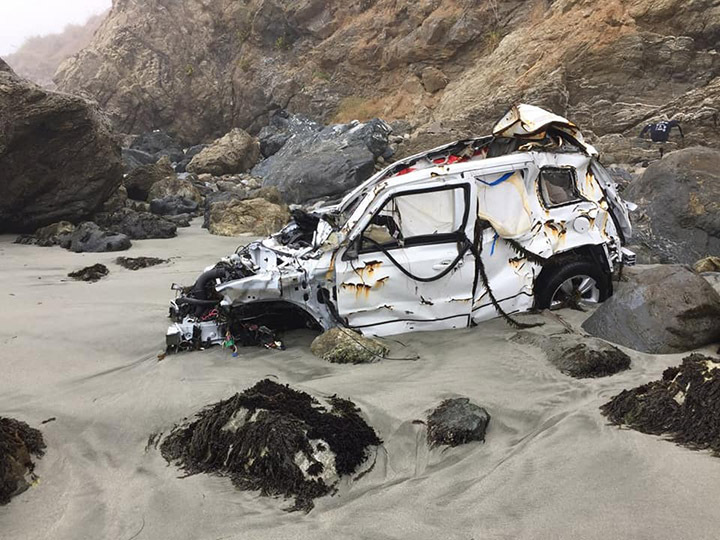 He told me they were a married couple who loved the ocean and had been exploring when they had come across my destroyed vehicle. “Eventually, a rescue team was able to pull me up the cliff and lead me to a helicopter that took me to a nearby hospital. There, I was reunited with my family and discovered the extent of my injuries. During the first few days after the crash, I was suffering from a brain hemorrhage. The crash had also caused me to fracture 4 ribs, break and fracture both collar bones, have a lung collapse, rupture blood vessels in both eyes, and experience intense sunburns on my hands, feet, and face. But, at the end of the day, none of that matters. I feel like I have everything I’ve ever wanted. I’m sitting here in the hospital, laughing with my sister until she makes broken bones hurt. I’ve met some of the most beautiful human beings that I think I’ll ever meet in my entire life. I’ve experienced something so unique and terrifying and me that I can’t imagine that there isn’t a bigger purpose for me in this life. Previous Previous post: Little boy is so happy to give his girlfriend gifts – and her reaction is JUST as adorable!